There are many different types of meat, and all have been part of the human diet for millennia. Generally speaking, meat is good for you and provides a huge range of essential nutrients. This article reviews the nutritional profile, health benefits and concerns of eight common varieties of meat. What kind of meat is the healthiest? Pork is one of the most popular forms of meat in the world. Despite some confusion on the issue, pork is classed as red meat. This is because it contains a large amount of myoglobin, a protein responsible for the red color of meat. Here is the typical nutritional profile for ground pork meat per 100g (1). Pork is a particularly significant source of thiamin (vitamin B1). The content of this important vitamin is much higher than in other meat and plays an essential role in glucose metabolism and protecting cardiac health (2, 3). Much cheaper than most other meats. Pork contains decent amounts of selenium and zinc, which are responsible for boosting the immune system, defending against oxidative stress, and optimal hormone production (4, 5). Compared to other meats, pork contains extremely high levels of omega-6 fatty acids. Despite being essential for health, an unbalanced ratio of omega-6 to omega-3 can be pro-inflammatory in nature (6). Pork is more susceptible to bacterial contamination and food-borne illnesses than other meat; ensuring pork is thoroughly cooked is essential (7, 8). When most people think of red meat, they probably imagine beef. There are many different beef products and cuts of beef, ranging from hamburgers to rib eye steaks. While mainstream health advice often dictates selecting the leanest cuts of red meat, fatty cuts of beef are perfectly healthy. Here are the nutrient values for ground beef meat per 100g (9). Despite fearmongering over the fat content of beef, the main fatty acid in beef is none other than oleic acid. If you haven’t heard of it before, then it’s the main fat in olive oil (and known as “heart healthy”) (10, 11). Beef contains a wide variety of beneficial compounds that include creatine, conjugated linoleic acid (CLA), and glutathione (12, 13, 14). 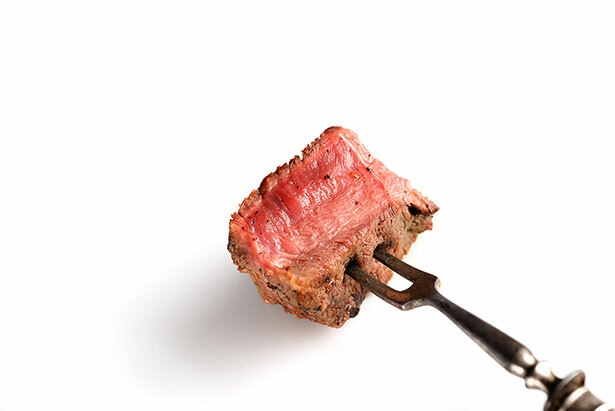 Excessive beef consumption can increase circulating iron to unhealthy levels in some individuals. These high levels can increase the risk of various cancers and cardiovascular disease. This risk is especially the case in those with a genetic mutation called hemochromatosis, which causes over-absorption of heme iron (15, 16). Overcooking beef (burning) can lead to the formation of polycyclic aromatic hydrocarbons (PAHs) and heterocyclic amines (HCAs). Both of these compounds are carcinogens, but we can minimize their risks by sensibly cooking meat (17, 18). See this full guide to beef’s benefits for more information. 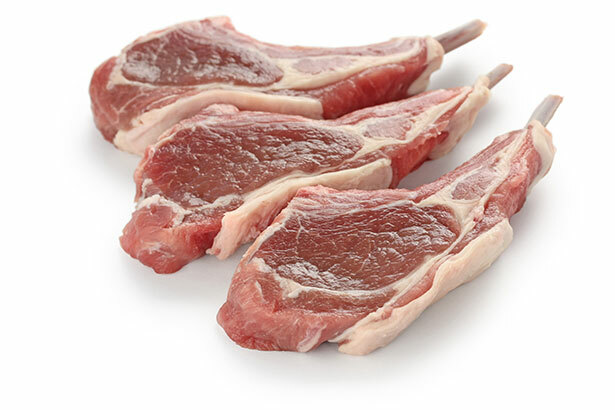 Just like beef and pork, there are a variety of popular lamb cuts — perhaps lamb chops are the most popular. Generally speaking, both lamb and mutton is very healthy. Because sheep graze on pasture all day, the omega 6 to 3 ratio is very low—and optimal—compared to other meats (20). 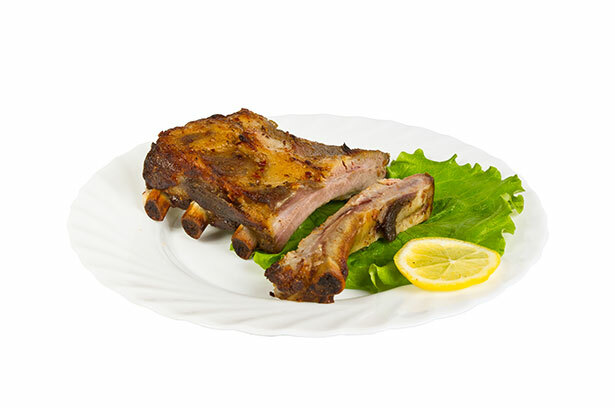 Lamb contains a broad range of health-protective nutrients, especially zinc, selenium and B vitamins. Lamb is very expensive in comparison to different kinds of meat. Alongside beef and pork, chicken is one of the ‘big three’ popularity-wise. However, chicken is a different classification of meat and comes under the poultry category. People commonly refer to as ‘white meat’ rather than red. As one of the most popular foods in the world, there are all sorts of chicken-based foods. These range from fried and roasted chicken to chicken soup and even chicken popcorn. For health purposes, it is better to avoid the more processed of these options. Chicken is very cheap and easily affordable. For those who are trying to consume less fat/calories, chicken offers a smaller amount than other meats but with the same protein content. Chicken stock/broth offers a significant source of gelatin. As chicken bones have a lower density than other meats, the collagen and gelatin are far easier to extract. Chicken provides a decent source of necessary vitamins and minerals, particularly selenium, potassium, phosphorus and B vitamins. Due to commercial chicken feed—and similar to pork—chicken contains an excessive amount of omega-6. Whether this is problematic or not likely depends on the overall diet. Bacterial contamination with strains such as E. coli and salmonella is too common in chicken. As a result, strict hygiene procedures are necessary when handling raw meat (22, 23). See this guide to the nutrition profile and potential benefits of chicken for more information. Turkey is another type of white meat, probably best known for its appearance at the Christmas table! It has both a deeper yet drier taste than chicken and is a less prevalent form of poultry. As mentioned above, the most popular kind is probably roast turkey, but you can find a variety of processed and unprocessed turkey products. Turkey is among the most protein-dense of all meats, offering 17.5 grams of protein in only 149 calories. 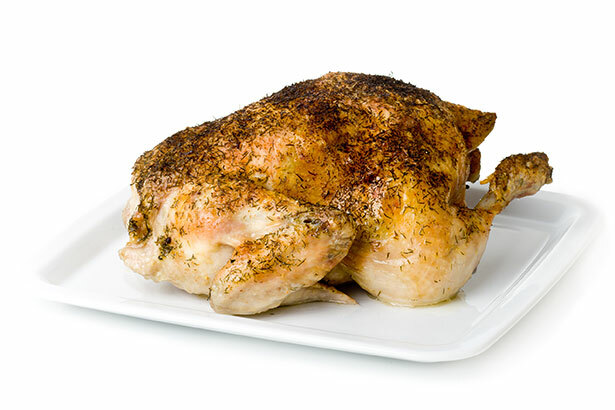 Similar to chicken, turkey also provides a significant amount of B vitamins, potassium, selenium and phosphorus. Turkey provides an inexpensive source of high-quality protein. 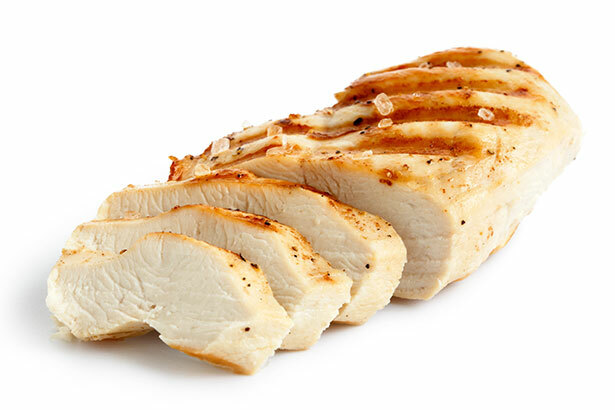 Similar to other forms of poultry, turkey is more likely to harbor foodborne bacteria than red meat (25). Venison refers to the flesh of a deer, and it is a traditionally rarer type of meat. In recent years, sales of venison have been soaring as a result of its healthy reputation among consumers. But is that reputation justified? Despite it being a red meat, venison is very lean. In terms of nutrition, it looks more like white meat. As deer live and feed in the wild, venison is one of the healthiest and most natural varieties of meat. The excellent omega 6 to 3 ratio (2:1) shows the benefits of an animal living on a natural diet. Venison has more vitamins and minerals than beef despite having significantly fewer calories. In short, venison is possibly the most nutrient-dense meat out there. One obstacle could be the price; venison costs a lot. Expect to pay around $30 for one pound of venison steak. Some deer are infected with chronic wasting disease (CWD). See this full guide to venison meat for more information. Duck is one of the less popular types of meat. However, it has immense popularity in Chinese populations, where ‘Peking duck’ is a showpiece dish. Like chicken and turkey, we can consider duck as a kind of white meat. 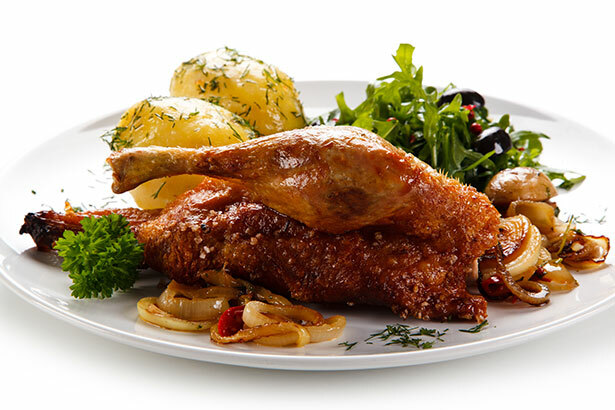 Duck provides a significant amount of selenium, phosphorus, and B vitamins. These vitamins are all important for optimal energy production and a well-functioning immune system (28, 29). Making duck at home—or having a roast duck—is perfectly healthy. However, be aware that in Chinese cuisine, duck often comes in sauces made from a variety of additives including sugars, oils, and monosodium glutamate (MSG). Wild boar is a non-domesticated pig that lives in the wild. Generally speaking, wild boar contains a higher proportion of protein and a smaller amount of fat than regular pork. As it lives and feeds in its natural environment, wild boar contains a higher proportion of omega-3 fatty acids. Wild boar contains an array of health-protective nutrients, in particularly B vitamins, selenium, and zinc. Despite containing a higher amount of omega-3, the omega-6 to omega-3 ratio is still very high. Trichinella spiralis, a parasite sometimes found in pigs, occasionally contaminates wild boar meat. There have been several outbreaks of this in recent years, but it is very rare (31, 32, 33). Bison is a type of red meat that is nutritious and very lean. For this reason, it is an excellent choice of meat for anyone looking to keep their fat or calorie intake a little lower. Although the above data is for conventionally raised animals, grass-fed bison can be very high in omega-3. Bison offers a wide range of nutrients for very few calories. See this full nutrition review of bison meat for further information. Bison is very expensive compared to other types of red meat, making it unaffordable for some people. Goose is a type of poultry that comes under the ‘white meat’ banner, and it is particularly popular throughout China, Europe, and the Middle East. Goose meat is a rich source of many nutrients, and it is particularly high in vitamin B6, phosphorus, and selenium. Similar to other poultry options, goose meat (without skin) is very protein-dense. Depending on location, it can be difficult to find goose meat for sale. Sometimes wild geese can be susceptible to infections which can be transmittable to humans (by touch). However, this should not be an issue with goose meat bought from a store. Also, like with other poultry, cooking will kill any bacteria present (36). See this full guide to goose meat for an in-depth look at its nutrition properties. Although the idea of rabbit as food can seem strange, it is a common type of meat in some parts of Europe and the United States (and China). Rabbit is very popular in France where it is considered to be a delicacy. Rabbit is a substantial source of vitamin B12 and it is also very high in selenium. Although it is not as high in protein as some kinds of meat, rabbit is very low in fat and calories. As a result, it is very protein-dense; 20 grams of protein per 136 calories. Rabbit offers one of the better omega-6 to 3 ratios among meat. Wild rabbits are occasionally infected with a pathogen known as tularemia. It is possible for undercooked rabbit meat to transmit this infection (38). Pheasant is thought to be a ‘premium’ meat product thanks to its flavorful taste, and the meat is popular across Europe and the United States. Pheasant is an excellent source of B vitamins, and it is particularly high in these nutritions compared to other varieties of poultry. Pheasant need space and they are usually wild or from ‘free range’ farms where they have access to pasture. There are no specific concerns about pheasant meat. However, like all poultry, it should be cooked fully to minimize the risk of food poisoning. One of the biggest trends over the past decade is the focus on naturally raised, grass-fed beef and pastured animal products. Perhaps the main reason why relates to the omega 6 to 3 ratio of the meat. In the past, the traditional human diet was believed to be close to a ratio of 1:1 omega-6 to omega-3. However, modern-day estimates place this ratio up to a high of 25:1, which is pro-inflammatory (40). Please note: to ensure balance, this data is for conventional meats, and you can expect a better ratio for fully grass-fed meat. The amount will also vary depending on what producers feed the animals. Which Type of Meat is Healthiest? To be honest, there is no single meat that is the outright healthiest. There are a variety of factors to consider which include the nutrient profile, taste, and price. If the meat is prohibitively expensive, or you don’t like the taste, then you won’t be able to eat it well. So, the first thing to remember is that any unprocessed meat is a whole lot better than industrially processed food. However, although I enjoy fatty chicken and pork from time to time, I try to avoid eating too much of them due to the large amounts of omega-6 they contain. If we look purely at the nutrient profile, then venison has a great case for being the healthiest meat. The more realistic option for the majority of people would be beef. Organ meats are among the most nutrient-dense of all foods. Although they are not as popular as they once were, foods like beef liver and kidneys are full of essential nutrients. 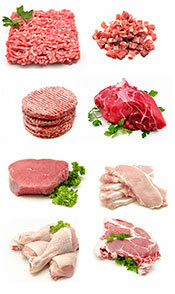 See this guide to organ meats for further information. 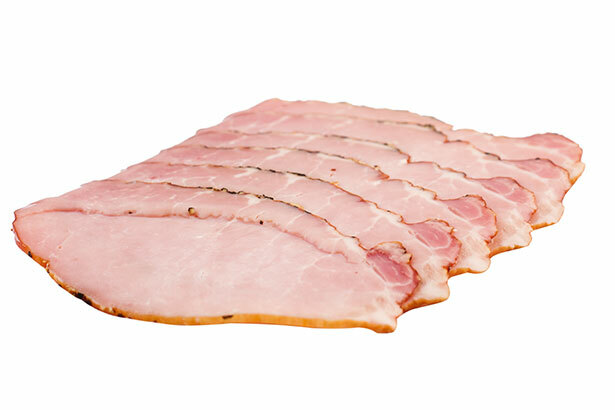 While cured meats do not have as good a health reputation as fresh meat, the dangers are often overplayed. This guide to cured meats discusses the most popular options. Thank you very much! This is a very helpful content in my Cookery class. I hope the team can also include “chevon” – goat meat. Thanks Ashlie, and that’s a good idea – I’ll look into that! We in Sri Lanka call the flesh of the Goat as Mutton and of Sheep as Lamb. Even in India Mutton means the flesh of goat. I think this is the usage in Asia. Sure, but any food can be detrimental when over-consumed. In reasonable amounts, meat is an excellent source of nutrition. Interesting! But you haven’t differentiated between grass-fed or free-range! Aberdeen Angus grass-fed beef for instance has a very different profile to mass produced US beef! Same with chickens free-range compared to mass produced caged? Hi Lucy! Thanks for commenting. I added somewhere in there that grass-fed will offer better nutrition profiles. The main thing was that the USDA food database doesn’t contain grass-fed options for all the different varieties of meat, so the standard “conventional” values were used to keep it fair and compare directly. Great information. Interested to know how Ostrich meat compares. Thanks! I will look into adding some more data soon. I started eating only meats and was wondering of the nutritional values this is perfect. i’m going to eat an lot of beef, seafoods, some chicken, pork but lamb wasn’t high on my list now its going to be second on it. it would have been great to see the values of chicken hearts liver and gizzards, beef liver as well. Great article i just learn something new. Thank you. Thanks, Michelle! Happy to help! This is a great article! I had a gastric bypass done 9 months ago, and I only eat red meat once a month. I only have about 3-4 ounces of meat. I have B12 and iron deficiency and it really helps my body. I never fry it. I always boil it and then sauté it with veggies. Yes, red meat is great for B12 and iron. Beef/lamb especially. can i know the source of nutritional information.? The nutritional information is pulled from the USDA’s nutrition profile database. If you click the numbers in the parentheses e.g. (9) you can see the data for each food. Glad you found it useful! It’s always good to have a local farmers market too. If lamb was a bit cheaper, I’d probably eat it all the time too! You failed to mention rabbit! Not sure if rabbit would go down well! Or maybe, you didn’t want to go down a rabbit-hole discussion..
Perhaps… talking about rabbit as a food drives some people hopping mad. Helped me to understand the basics and types of Meat….. I was always so confused between Bacon and Ham and Steak…..
Now I got the proper Classification…. Glad it was a help to you, Ankit. What a good presentation. I will be using this as basis for my report in class. Thank you. Thanks Sam, and good luck with your report! Why if fish not considered a meat type? What makes it different? Technically, calling fish a type of meat would be correct. But we’ve (as a society) basically classified meat as land animals, so mentioning salmon etc as a “meat” would be confusing to people. What an outstanding article! I had no idea that pork had such an astronomical Omega 6: 3 ratio. Too bad it’s my favorite meat. I guess I’ll have to start eating more lamb and beef. Thank you so much for this valuable information. I love pork too and I generally have it a couple of times per week (bacon and pork belly). But yes, beef and lamb are better choices IMO.